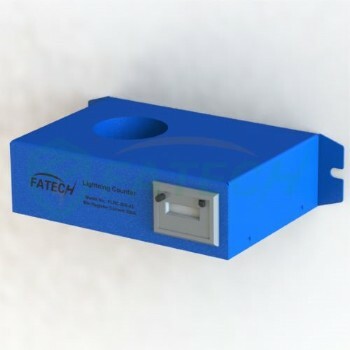 ﻿ Lightning Rods & Surge Counters - Fatech Electronic CO., LTD. Lightning rods protect your building from lightning strikes, outside lightning protection. The lightning rod is marking up of rod part, decorative ball base part, uphold pole and flange. 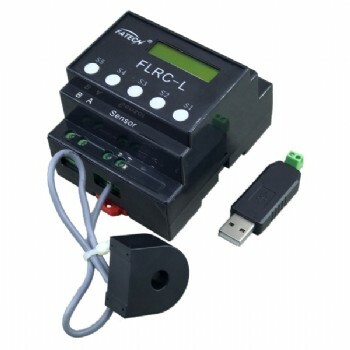 Fatech also developed lightning counters FLRC-S/II no need battery/power supply type, and FLRC-L/II which can communicate with computer. New outdoor Lightning Counter, analogue type, electromechanical 4 digits display, with reset function, no battery need. Installation window dia. 30mm. Metal plate enclosure. 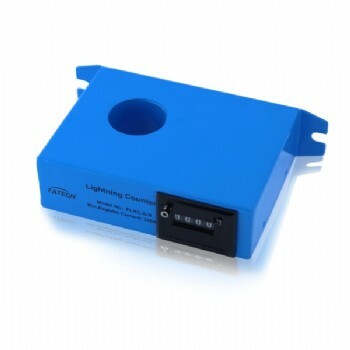 Small Size outdoor lightning counter,Analogue type, no battery need. Installation window dia. 30mm. Quick and easy installation. 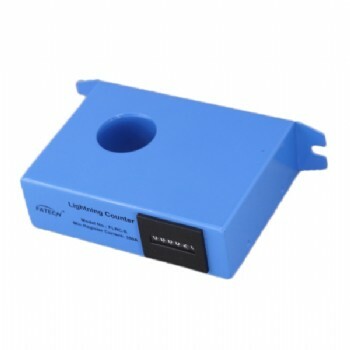 Metal plate enclosure.lightning counter can count the thunderstorm during the certain time of surge protection products installed, and to give suggestion for choose which surge protection products. 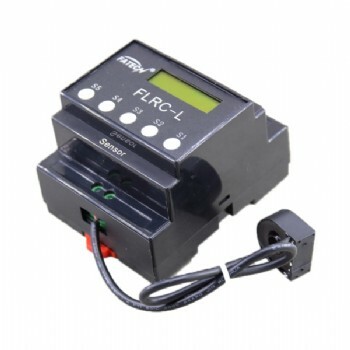 multi-function lightning strike counter, digital type,can recording lightning/surge event times, monitoring SPD working status, and/or the front breaker working status. RS485 communcation lightning counter, digital type, could be communicate with PC; reading, storage and clear lightning counter data through the installation of specialized communication software, communication between PC/computer and lightning counter by connected with twisted pair cable, communication distance could be 1000m. 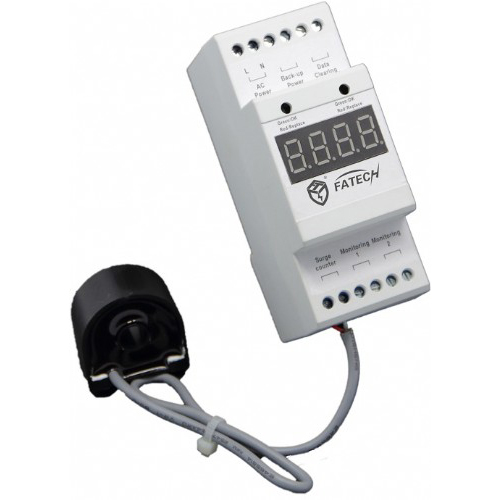 Digital lightning counter with LCD display, reset function, time clock function. It Can register 0~125 of lightning strikes, the data won’t be lost in case of power failure, Can check the real time (year/month/day/hour/minute/second) of each lightning strike. Number counting repetition up to 1 million times. 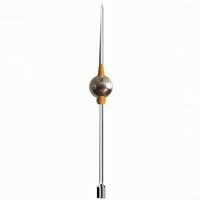 Ball regular type lightning rod is marking up of rod part, decorative ball base part, uphold pole and flange. Connect the rod parts and uphold pole with decorative separately, and then assemble them with flange. 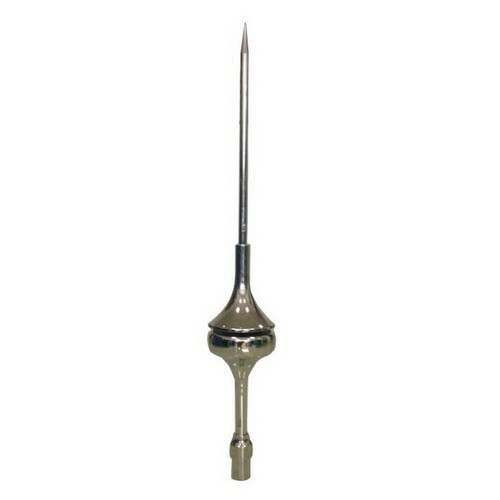 ESE Lightning Rod, height 790mm, it is used for all kinds of buildings direct lighting protection, such as wireless mobile station, high-floor business building, university, ship, air station, historical building, sports ground, chemical warehouse, army base station, mine, meteorological station, and radar station. Duvalmessien Type discharge lightning conductors, height 950mm, it is used for all kinds of buildings direct lighting protection, such as wireless mobile station, high-floor business building, university, ship, air station, historical building, sports ground, chemical warehouse, army base station, mine, meteorological station, and radar station. ESE Lightning conductor, height 1350mm, it is used for all kinds of buildings direct lighting protection, such as wireless mobile station, high-floor business building, university, ship, air station, historical building, sports ground, chemical warehouse, army base station, mine, meteorological station, and radar station.